Start off your doggie holiday right with a visit to off-leash Cedar Creek dog beach and park where everyone can take a swim and frolic in the water. This popular canine-focused park offers picnic tables as well as several areas to hang out in the sun or shade. It&apos;s a great place to meet other dog friends, to bring a picnic, a book, and just relax with your furbabies - especially when you want to spend the entire day at the beach. 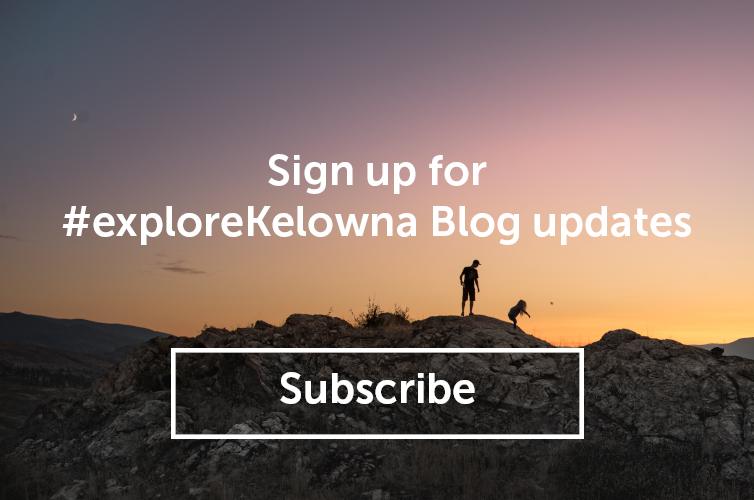 If you prefer to be on-the-move with your four-legged friends, there are loads of really great hikes and walks in and around Kelowna. A favourite of many local dog walkers, is the Mission Creek Greenway. An 18 km long, mostly flat and easy trail welcomes dogs, runners, cyclists, bicyclists, and even horseback riders. You’ll find many walking their pooch along the path but as with most dog-friendly parks in Kelowna and area, all dogs must be kept on a leash. If you prefer to shop while you walk, wander the shops in Pandosy Village or downtown Bernard Avenue and adjacent streets. Many shops maintain a fresh water dish outside for the thirsty dogs. While you are there you may want to grab a beverage and one of the many cafes in the area to enjoy on one of the benches at the Downtown Marina or take with you up to Knox Mountain Park where you can also hike and explore the landscape with your dog. On the way up to the summit of Knox Mountain, you&apos;ll also see an off-leash area dedicated specifically to let the dogs run. For the enjoyment of everyone, don&apos;t forget to pack some extra baggies and pick up after your pooch. 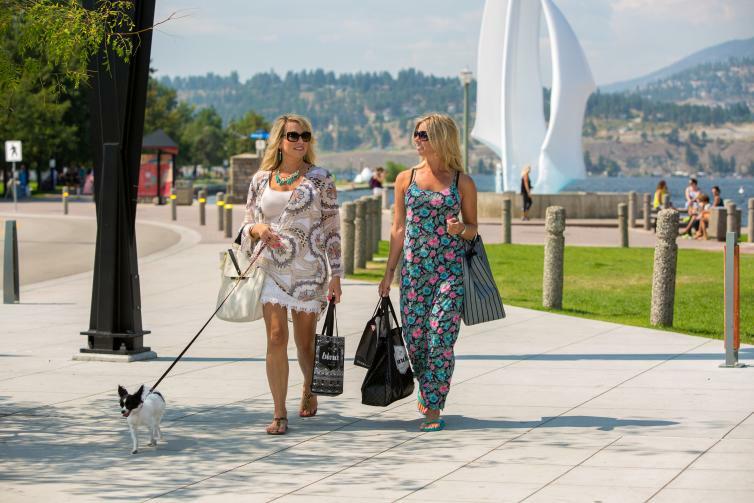 If, by chance, you need to leave your faithful friend somewhere safe while you explore Kelowna and even grab a nice dinner, check in with the folks at Doggytopia. It is Kelowna&apos;s oldest dog daycare. Located downtown in the cultural district they offer city socializing in a positive atmosphere for your canine family members. They also have a self-serve dog wash area and a health food store for dogs that is full of raw foods, holistic kibble, treats, supplements, and toys.